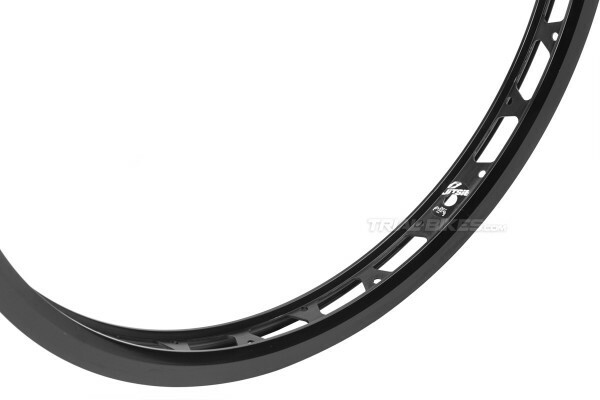 - New single-walled 20” front rim from innovative Belgian brand Jitsie, for the 2016 season. - Features unique design and construction, tested for months by the Jitsie team riders to guarantee top levels of strength and stiffness. - Completely made from 6061-T6 aluminium alloy, which provides exceptional properties for a durable, reliable rim. 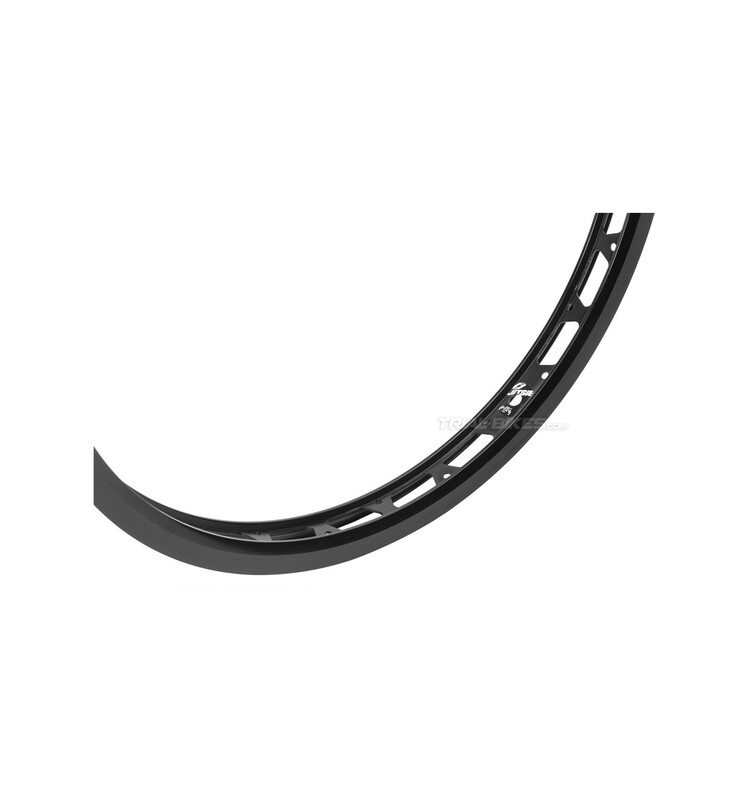 - The centre of the rim is inserted between the sidewalls, which increases sidewall stiffness considerably while braking. - Larger sidewalls and superior stiffness ensure top braking performance when used with rim brakes. 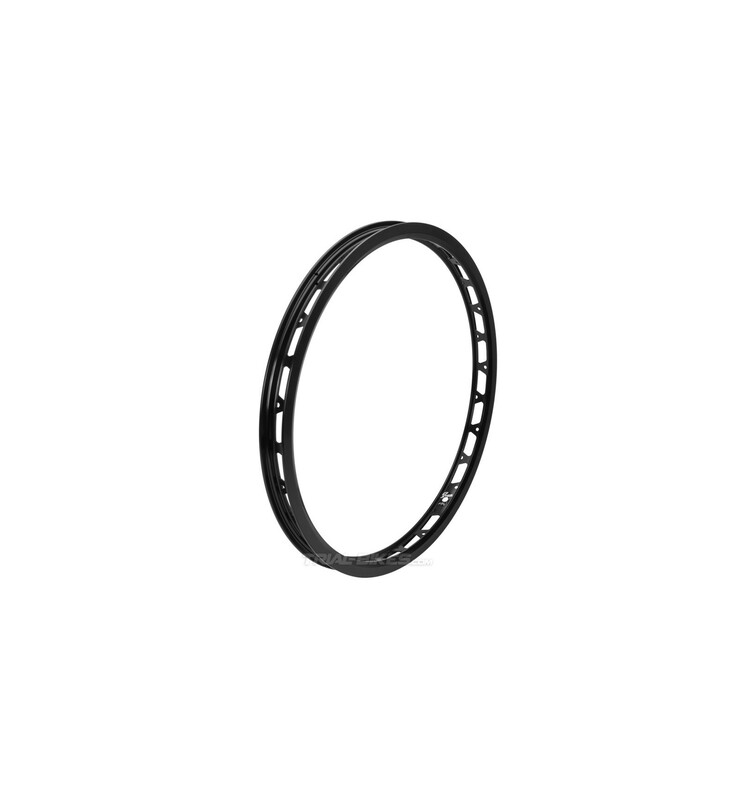 - 32mm wide, which guarantees unmatchable stability, even at the lowest pressures. - Super light single-walled construction, with customized CNC-machined holes that help save a good few grams without compromising its strength. - Large sidewalls (12mm) ensure more than enough room for the pad and offer a better braking performance. - Features an special heat treatment that improves braking performance, so it’s ideal for using with rim brakes. - Available in anodized black finish, with silver Jitsie sticker artwork around the valve hole. Please bear in mind this rim must be laced with a 28H hub.